· Cropped leggings feature the exclusive Brody & Co.embroidered logo on the hip. 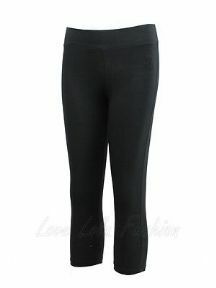 · Wonderfully soft with excellent stretch-Perfect wardrobe or workout essential. · Soft, deep elasticated waistband for the perfect supportive fit.